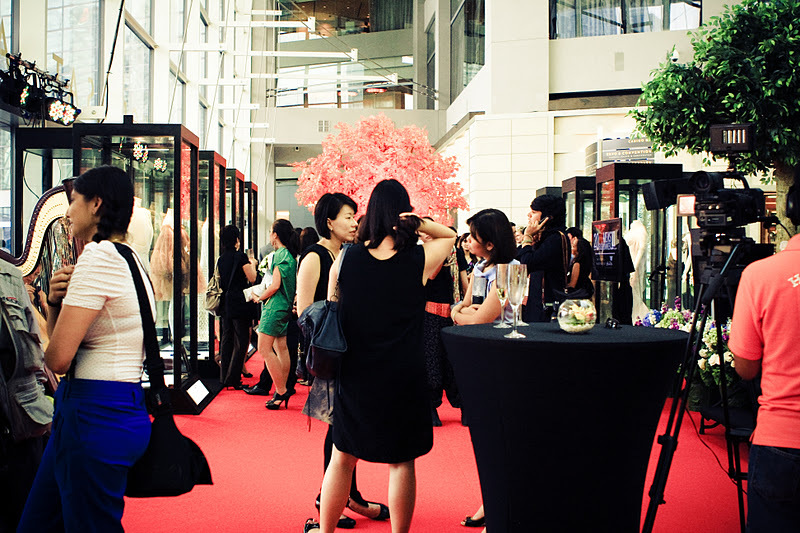 The long awaited and anticipated 2011 Women Fashion Week will be held in no time. Being the first to host eight respectable haute couturier's collection outside Paris fashion week, Singapore should be proud of the event. From 27-30 october, couturier Maxime Simoens, Gustavo Lins, Eymeric Francois, Christophe Josse, Dominique Sirop, Alexis Mabille, Anne Valerie Hash, and Stephane Rolland will present their fall winter 2011 collection to Singapore public, upclose and personal. 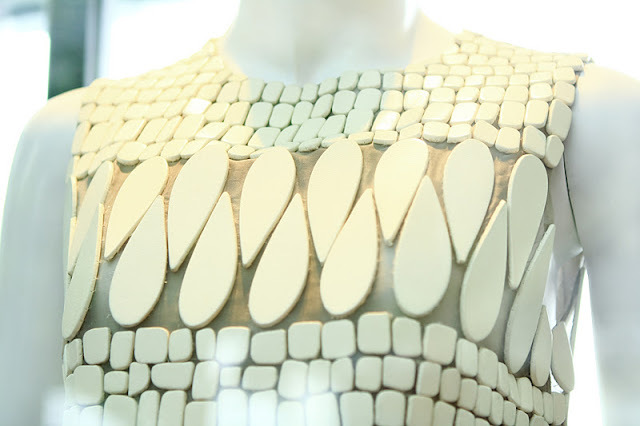 dress by Anne Valerie Hash and embelishment detail of Stephane Roland piece. 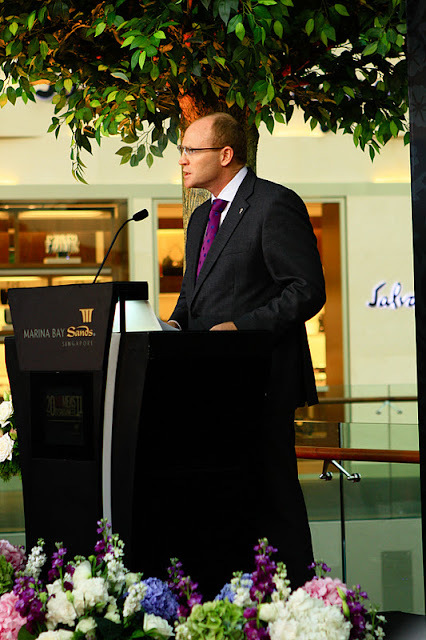 Mr Paul Harris, Asia Pacific Regional Director of Rolls Royce. As a support of the grand creations of Haute Couture, the hall at Marina Bay Sands CC will be transformed into a grand stage filled with 4 season decoration. On top of that, there will be a winter ball as part of the whole event. 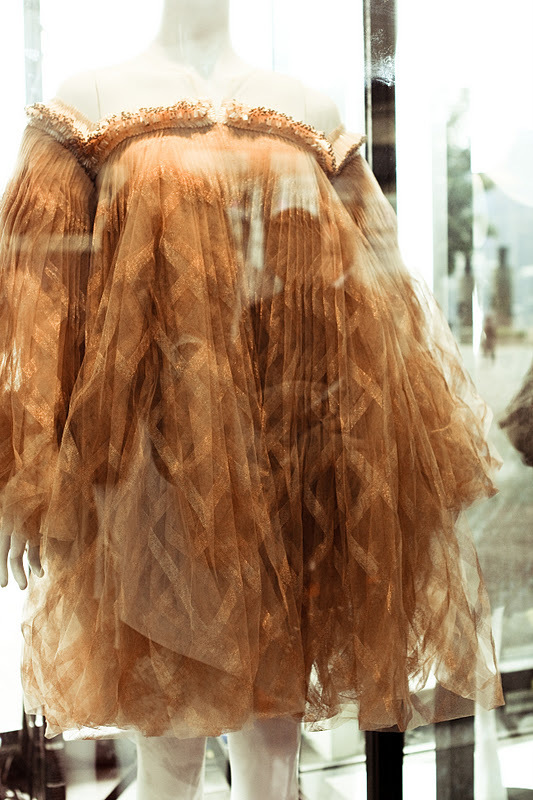 That evening, monsieur Alexis Mabille himself present the collection and gave explanation of his pieces. He incorporated beautiful details on the garment but also keep it simple at the same time, which I found exquisite. 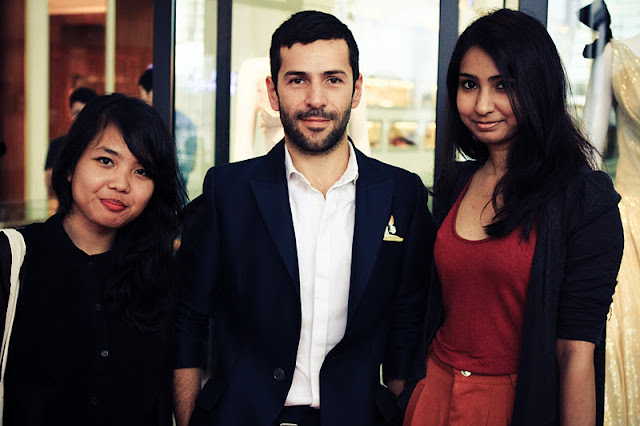 Me, Alexis Mabille, and Tarandip after the exhibition opening. oh man... so many pretty dresses. My eye is really captivated by the number with the buckles! oh I love the collection so much!! omg love all the dresses! beautiful pics! Ohhh woooww! These pieces are fantastic! Thank you for visiting my blog. I'm glad I have a chance to "discover" yours through my comments because wow, your photographs are absolutely incredible. I rarely have the chance to visit Singapore these days but I'm equally pleased to be an armchair traveler through your blog. Wow so many gorgeous pieces!!!! nice photos!!! !thanks for your sweet words and hope u'll come visit me more often! fhen ini keren bgt yaaa seru deh liat km bisa dateng ke banyak acara keren :D :D btw km kapan di jkt lagiiii? omg so many amazing dresses. Does Lady Gaga know wabout this exhibition? omg! the detail is amazing! crazyyyy! Soooooo many beautiful dresses...I'm speechless!